For the first time travelers have a voice in the decision-making process. 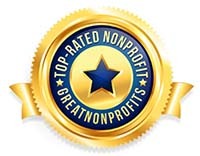 We’re Travelers United, the only non-profit, membership organization that represents all travelers. Based in Washington, DC, we work tirelessly with Congress and travel regulators, testify before the committee and discuss consumer issues with travel associations that represent all modes of travel. Advocacy – representing the voice of the consumer in DC and around the country. Research – determine the consumer impact of internal government debates regarding travel by surveying and polling our membership as well as members of the general public, along with partnering with research organizations and leading industry analysts. Great travel experiences start long before passengers board airplanes, buses and trains. They start long before travelers pick up their first guidebook and start making hotel reservations. Wonderful travel experiences are a combination of a travel and tourism infrastructure that works and has clear, understandable rules and good customer service, together with travelers who are savvy enough to avoid potential problems during journeys. Only Travelers United has the information, insights and influence you need to smooth the bumps in the road. Your influence will extend to Washington decision-makers as we leverage your voice to create better laws and regulations. You’ll benefit from actionable information, authoritative travel tips, insider blog posts and an active social media program. You will have the opportunity to participate in surveys and polls that will assist the DOT and Congress as they create transportation legislation and policy. Travelers United members also enjoy $25 a month of dining savings and a cybersecurity package that includes secure WiFi, access to a VPN, and use of a Swiss data vault for storage of important documents. Visit our membership page to learn more about the benefits you receive by joining Travelers United Plus. We’re Travelers United. Offering you unmatched resources to improve not only your trip, but upgrade the travel experience for everyone, and benefits members can use every day at home or when traveling across the planet. All original material published on this website is ©1998-2017 and all rights are reserved. TravelersUnited.org may provide links to a other websites for a variety of purposes, however, in no way does this associate TravelersUnited.org, its staff or its affiliates with any of these other websites or the respective owners of said websites. 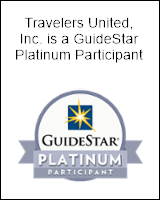 TravelersUnited.org does not necessarily approve, sponsor, support or in any other way condone any publication, practice or opinion found on any website that is linked to outside of this domain. ns offer press trips to allow travel writers to experience their destination and to write reports of their travels. Often items (such as books, travel gifts, electronics, luggage, videos, etc.) are sent to our writers for evaluation and review purposes.